This is one of the most impressive candy subscriptions and the perfect choice for anyone with a sweet tooth. Some club subscriptions are predictable and overdone – but not Candy Club. The subscription is exactly what the name suggests, a club that provides you with sweet treats every month. Candy Club does this in an unusual way. You’re not getting pre-packaged sweets from various companies. Instead, Candy Club provides Candy Cups that have been individually filled with sweets like gummy bears or gourmet jelly beans. Each box also contains another type of candy that has been scattered around. The candy itself is high-quality. There is even a page on the site that showcases all of the candies and what they look like. The first Candy Club plan provides 3 Candy Cups each month for $29.99/month. The second includes 6 Candy Cups, costing $49.99/month. Both subscriptions provide a discount on the first month and the monthly price decreases if you prepay for a 6-month or 12-month membership. This Taste Trunk subscription is impressive and tasty. 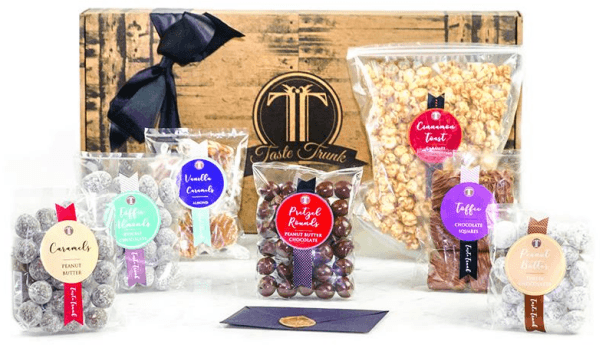 Taste Trunk is a great company for gifts, offering a variety of premade boxes, along with the chance to make completely customized gifts. They also have a few subscriptions to choose from. The Sweet Subscription is one of these. You can order the subscription for 3, 4, 5 or 6 months. Unusually, the price per month is roughly the same each time. Unlike most of the boxes on this list, The Sweet Subscription doesn’t just focus on candy. The box is simply about sweet treats. This means that you’ll often get candy, but you may receive other items too, like cookies and sweet sauces. That’s not a bad thing. A little variety always makes life interesting. This candy selection looks amazing and contains items that you simply won’t find elsewhere. Dylan’s Candy Bar is an impressive site that offers a wide selection of candy, along with gifts for all occasions. 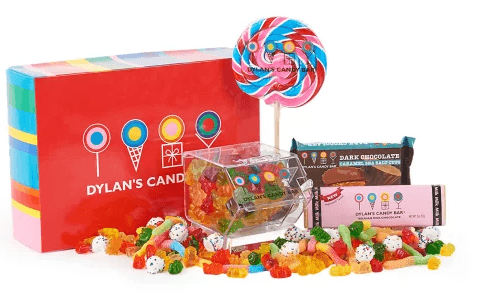 The Dylan’s Candy Bar Box Signatures is their candy subscription program. The box features a curated selection of sweets from the company’s selection, including many different styles. You’ll find items like chocolate and gummies in the mix, along with s’mores, whirly pops and much more. The candy is always hand chosen, so the boxes will always be different each month. The box needs to be ordered in 3, 6 or 12 month intervals, with the 3-month version averaging out to around $36 per month. Be prepared to have your taste buds delighted and challenged with this candy subscription. 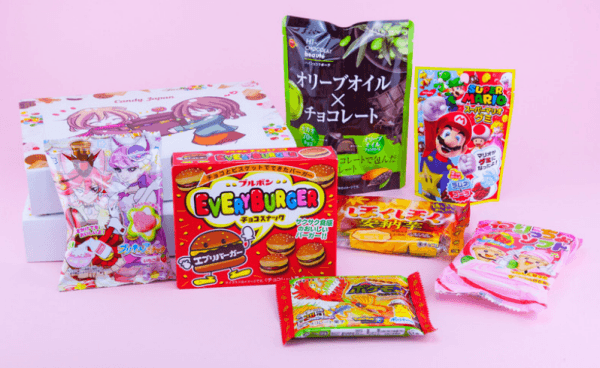 Candy Japan is, as you’ve probably guessed, a subscription box that offers a selection of candy from Japan. The idea is fun, as Japanese treats are often very different than what we’re used to. There are unusual styles too, like items that change their flavors when you mix them or ones with unpredictable tastes. There are even some candy DIY kits included. The subscription works differently too. Each box contains 3 to 4 different items and you get 2 boxes per month. The price is $29 per month, so you’re paying a little under $15 for each box. Shipping is also free, making this an easy subscription to try out. This fun snacks box focuses on international treats. If you want some new sweets, the Treats subscription box is too good to ignore. One of the best aspects is how the box focuses on international treats, rather than just items from a single country. To do this, the subscription box has a different country theme each month. You might get candy from Japan one month, then treats from Australia a different month. This style keeps you on your toes and ensures that you never get bored of the treats that are offered. There are 2 different versions that you can choose from. The Standard Box costs $13.95 per month. It includes at least 5 snacks each time. Some of these are relatively small, while others are in large bags. Alternatively, you could try the Premium Box. This one costs $25.95 per month but contains an impressive 10 or more snacks each month. While the company is called Gilbert Chocolates, this box focuses on sweets instead. This Gilbert Chocolates Surprise Box is an interesting choice. It is a small box that contains 5 items that are sold at the Gilbert Chocolates stores. The candies vary each month, but you’ll often get some items that are gummy and others that contain chocolate. The pricing is simple. You pay $19.99 each month for the box. Shipping is free. There are no other options and you don’t get discounts by ordering for a longer period. This box offers a selection of German candy each month. Subscriptions like Candy German are the ideal choice for anyone who wants some unusual sweets. As the name implies, this box provides you with a selection of German candy each month. The box contains 6 to 8 different items, for a price of €30 per box. If you’re used to large and comprehensive boxes, 6 to 8 items mightn’t seem like much, but Candy German is actually much better than it sounds. One of the best features is the size of the treats. You’re often getting full-sized bags of sweets, ones that you’d never see in your local area. The treats themselves are amazing too. Candy German goes to lengths to make sure you get a decent variety. All of the items are authentic German products. The box is a fantastic way to experience some new flavors without much effort on your part. This is the ideal subscription program for anyone who loves gummies. 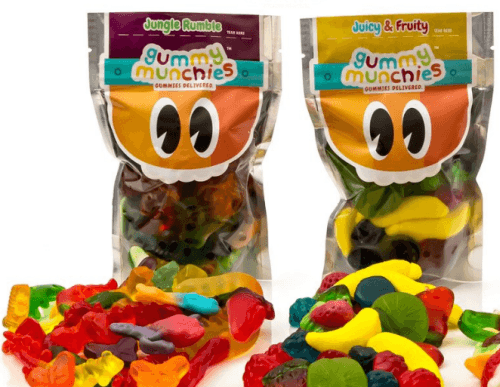 As the name suggests, Gummy Munchies is a subscription that just focuses on gummies. The company features various different types of gummies, such as Juicy & Fruity, Gummy Classics, Jungle Rumble and Sour Hour. These can all be purchased individually, along with a pack that features a little bit of everything. The site has a Gummy Munchies Club that you can join. This is a quarterly club, providing you with a box every 3 months. That box contains a bag of each of the 6 different options that the company offers, for $49.99 per quarter. While that subscription might seem expensive, you’re getting a decent amount of gummies for the price. If you don’t like that style, you could purchase a bag of gummies on subscription instead. For example, the Under the Sea gummies cost $9.31 per month when delivered on subscription. This subscription offers unusual candy that you won’t find elsewhere. 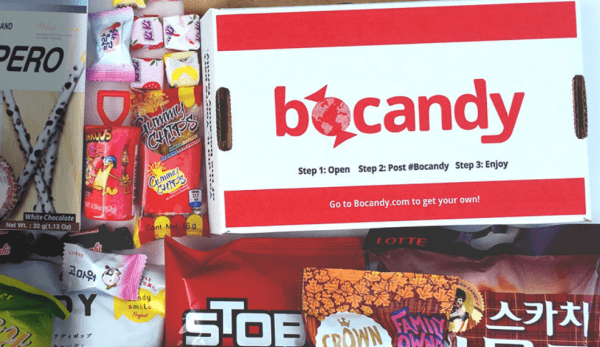 BoCandy is a great subscription box for anyone who is easily bored. The company focuses on finding candy that you won’t see elsewhere. This includes new products, exotic items, imported candy and brands that are simply difficult to find. You won’t be regular candy that you could easily pick up at the grocery store. To make things even better, there are multiple boxes to choose from. Each type of box has its own angle. The first is The BoCandy Big Box – an extensive box of snacks with many different snacks. There is also The International Candy Taste Box. This one focuses on European, British, Mexican and British imported candies. The Asian Snack Box is another one, offering Asian snacks (no surprises there). Finally, there’s The Premium Box. This box focuses on the ‘the best of the best’ containing domestic and imported snacks. The boxes start at $9.99 a month. The price varies depending on the box that you choose and how long you sign up for. If you’re interested, make sure you sign up fast. Bocandy is a surprisingly small company and produces a limited number of boxes. They often sell out. This Japanese company offers various options, including a candy box. My Japan Box is an especially versatile company, offering a wide range of different subscriptions that you can join. This style allows you to choose something that is perfectly suited to your needs. The main choice for sweet lovers is the Candy Box. 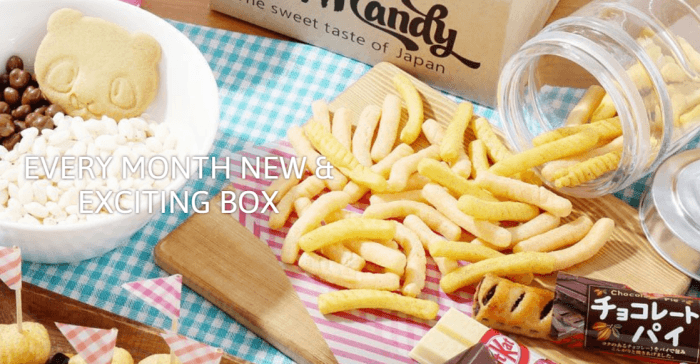 The box is a monthly subscription that provides 15 to 20 Japanese candies each month for $30. There is also a one-time version of the box, if you want to try it out before committing to anything. While there are images of some of the snacks provided, the site doesn’t provide any details about how snacks are chosen. There is also a Kit Kat Box, for $29 per month. As the name suggests, this box simply provides Kit Kats. These come in many unusual flavors, ones that are only available in Japan. You’ll discover versions of Kit Kats that you never knew about, like wasabi, melon and cheesecake. 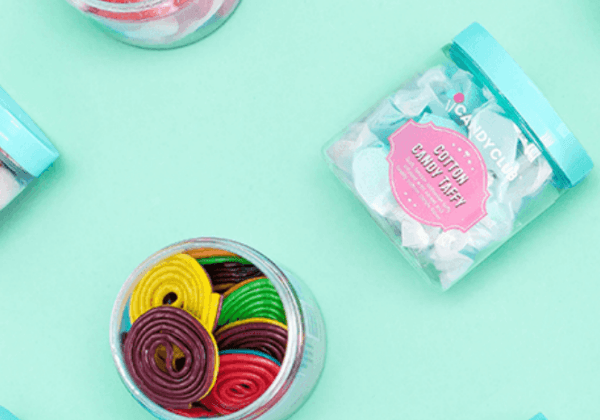 This simple candy subscription is a fun way to try out new types of sweets. The name InstaCandy really says it all. 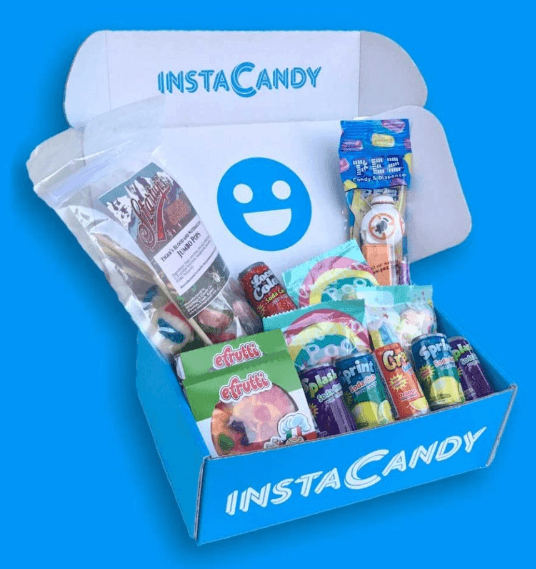 This subscription box delivers candy to your door every month, starting at $24.99 per month. 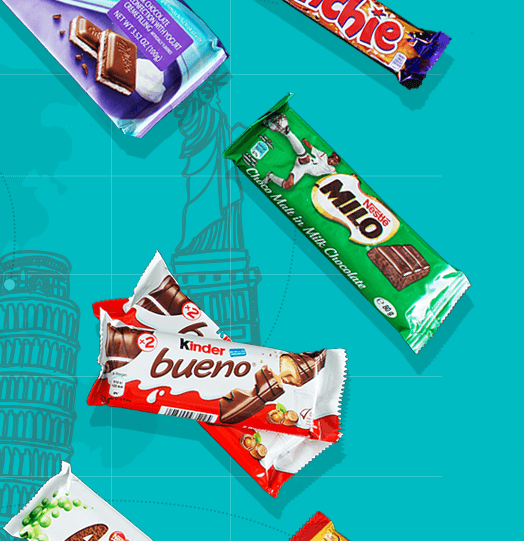 The box includes full-sized versions of sweet treats, which can come from around the world. An interesting thing is that the company provides very little information about what you can expect from the box. There are no details about the number of items or specifically where the candy comes from. Still, the image of the box looks appealing and it could work well for some people. Here’s a fun Japanese club that provides plenty of candy each month. Freedom Japanese Market is a great subscription if you're looking for new types of candy to try. 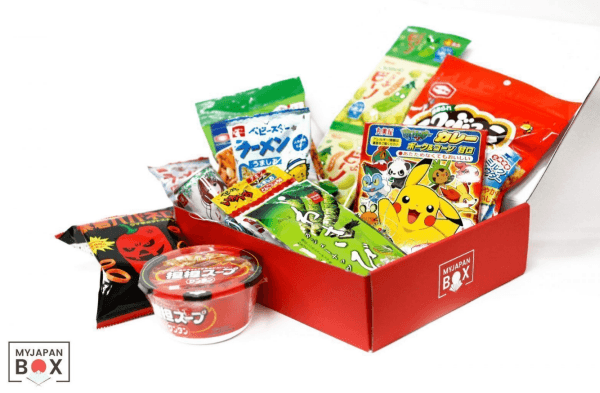 Each box contains a selection of snacks from Japan, including limited edition items that aren’t found elsewhere in the world. You’re not just getting sweets either. The boxes all contain some savory items as well. As an added bonus, the boxes all contain handmade origami. These origami pieces are good keepsakes to remind you of how much you enjoyed each box. Another cool feature is the content list. This is written in English and includes pictures. There are 3 different subscription versions to choose from. 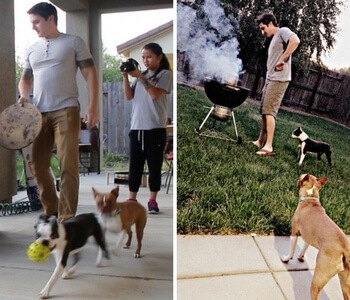 The first is the Puchi Pack. This contains 5 to 8 snacks and costs $14.99 per month. The next step up is the Original Pack. This one is $24.99 per month and comes with 12 to 16 snacks. The final version is the Family Premium Pack. This is more expensive at $45.99 per month. It contains premium snacks that are also larger, but there are no details about how many snacks. In all cases, you’re receiving a combination of full-size snacks and samples. This subscription box focuses on Japanese candy. There are many different Japanese subscription boxes, but Sushi Candy is an especially good choice. One reason is simply that the subscription focuses on candy. You’re mostly getting sweet Japanese treats, rather than savory options. An even more important aspect is the variety. Sushi Candy aims to provide different types of candy in each box. You’re not likely to see multiple versions of the same product, which is always a bonus. The sizes help in this area too, as you can get a 20-piece, a 30-piece and a 40-piece box. Needless to say, 30 or 40 pieces of Japanese candy each month gives you plenty of snacks to enjoy. The subscriptions are surprisingly reasonable too. You’re paying $15.99 per month for the 20-piece box, $19.99 per month for the 30-piece box and $26.99 per month for the 40-piece box. With this box, you’re getting British sweets. What’s not to love? If you want something different, this British Candy Box could be a great choice. Actually, there are 3 different boxes to choose from, each with their own features. The first is The British Snack Box, which focuses on snacks. It’s an appealing box, but not really what we’re interested in for this candy subscription discussion. The other 2 boxes are much more relevant. The Great British Box is the smaller option, costing around $23.95 USD per month. It contains 10 to 12 different items. These vary from month-to-month, but tend to include 4 full-size chocolate bars, 3 smaller chocolate bars, 2 savory snacks (like chips), 2 types of sweets and a bag of pick and mix. There’s also The Ultimate British Box. This one is more expensive, costing $34.06 per month. It contains 15 to 16 items. That selection is similar to the previous box, except that you get an extra chocolate bar that is larger again, 4 savory snacks (instead of 2) and an extra bag of sweets. It’s hard to go wrong with WowBox, as there are multiple types of subscription to choose from. If you want a wide selection of candy, WowBox is the ideal choice. The main reason is that WowBox has 4 different subscriptions – and they’re all very different from one another. It’s also easy to transfer between themes, giving you plenty of chances to try them all out. The original WowBox version is Fun & Tasty. 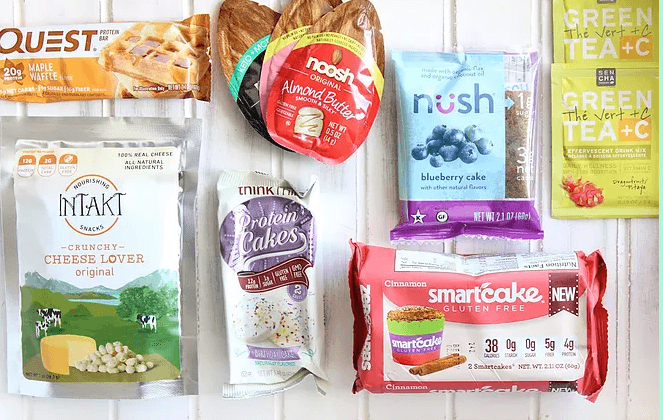 It aims to provide a good balance of different treat styles and flavors, including character-based products, stimulating, sweet, savory and weird snacks. There is also a Kawaii & Beauty Box. This one focuses on cuteness and health, such as low calorie products and ones that are meant to help improve beauty. The New & Limited Box is another option. This collects items that have just hit the market, particularly products and flavors that aren’t going to stick around for long. All 3 of these boxes come different styles. The regular version costs $24.99 per month, while the large costs $34.99 per month. While the number of items varies depending on the box type, the large box always has more than the regular and includes some bonuses. Finally, there is a Dagashi Box. In case you’re unfamiliar, dagashi refers to a style of Japanese treat. These tend to be small and marketed at children. This often means that they have bright packaging, fun flavors and often include cartoon images. The subscription box contains 10 to 12 items and costs $14.99 each month. 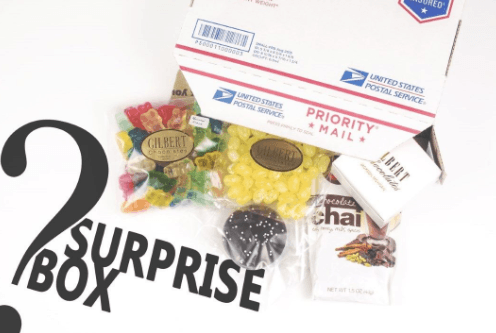 Sunshine Candy offers a simple and attractive subscription box. How can you go wrong with a company called Sunshine Candy? The monthly subscription offers 3 pounds of candy each month, typically in a box that contains 4 different types of candy. The items are all carefully chosen, with the goal of providing a classic, a gummi and a sour option each month. The base price of the box is $29.95, when you pay month-to-month. Pre-paying for the subscription brings the price down to $27.95 or $25.95 per month. This Swedish subscription program provides you with candy every month. 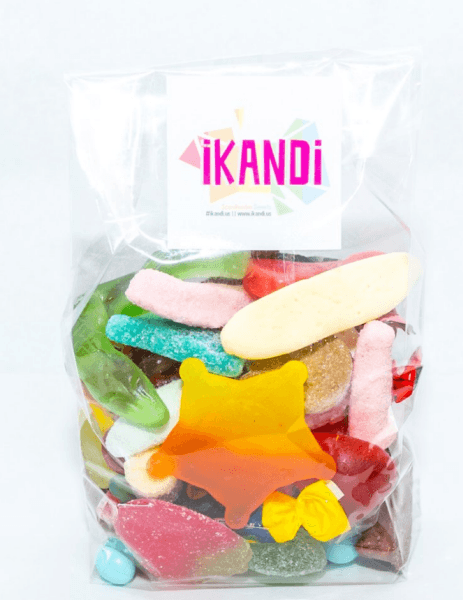 iKANDi is a Swedish company that focuses on importing high-quality Swedish candy. Unlike many similar companies, the emphasis isn’t on already packaged items from various brands. Instead, the sweets are often sold in iKANDi branded bags. Many of these contain a variety of different items. The style is particularly obvious with the Mixed Bag Subscription from iKANDi. The subscription provides you with a 2-pound box, which contains selected candies. These will normally be in the form of mixed candies, so you never quite know what to expect. The subscription costs $23.98 and can be delivered every month or every 14 days. This subscription acts as a great way to find some new favorites. Many of the treats included are also sold individually on the iKANDi site. If you find some that you really like, you might be able to order them separately. Sounds like a win-win. This subscription box offers diabetic friendly candy and treats. Sleek Treat uses sugar alternatives to provide diabetic friendly candies, chocolate bars and cookies. This makes the subscription ideal for anyone who is diabetic or pre-diabetic. The snacks are also all gluten free, low carb and keto friendly. The end result is a much healthier selection of candy that will still satisfy your sweet tooth. Their main box is called the Sleek Treat Signature Monthly Subscription and contains 7 to 9 individual treats. It starts out at $34.99 when you’re ordering for a month or $39.99 if you want the subscription cold shipped instead. As is often the case, you can prepay for a longer subscription if you would like to. Alternatively, you could choose the Sleek Treat Mini. This is a much smaller treat selection and comes in a printed bag. This time you get just 3 to 5 treats. That’s not much, but the subscription is only $14.99 per month, so you’re getting good value for the price you pay. This low-priced box offers a fun introduction to the world of Japanese sweets and treats. While there are many different snack boxes from Japan, the Japan Candy Box is an especially appealing one. The subscription costs $19.90 per month with free shipping, when paid month-to-month. You can get this down to $17.90 each month if you choose to prepay for 12 months. You receive 10 Japanese snacks per box for this price. The number of snacks isn’t the only impressive aspect of this club. Japan Candy Box also focuses on variety. You’ll find many different styles of snacks in the mix. This includes types of candy that are exclusive to Japan, along with Japanese flavors of products that you may recognize, like KitKat. Another fun aspect is the themes. The boxes often focus on a specific theme, like Halloween, Christmas or even Thanksgiving. This provides you with a unique experience each month and plenty to look forward to. This is an Eastern European box with snacks and a strong sweet focus. 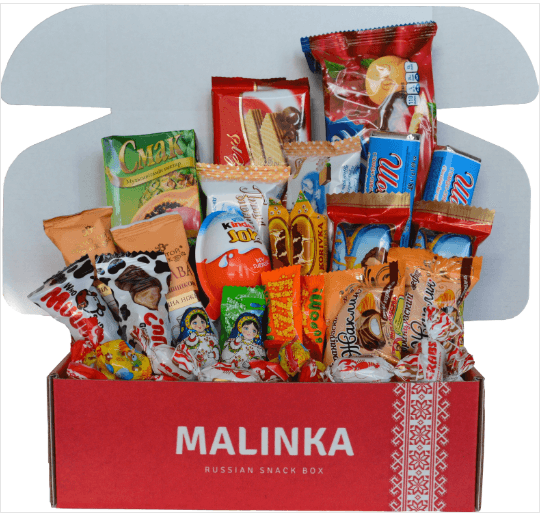 The Malinka Box offers snacks from Russia, Ukraine, Belarus and other Eastern European locations. The focus is on snacks, so there are some savory and salted items in the mix. Even so, the bulk of the treats each month are candy, making this an ideal addition to the list of candy subscription boxes. There are 2 different plans that you can choose from, based on the amount of candy that you want. The Original Box contains 3+ pounds of treats, including cookies, candy and chocolate. There is also a Premium Box, which offers an impressive 5+ pounds of treats. Many of the items are the same, although the Premium Box always contains a drink as well. The Original version is priced at $24.99 per month, while the Premium one is $34.99 per month. The Premium is certainly the best choice if you want value for money, as it contains such a large number of items.